Excellent I first had this in Antigua after we toured the distillery. My wife just bought me a bottle for Christmas. It's my favorite sipping rum of all. My Favorite Not terribly expensive but so wonderfully sweet. This is my favorite sipping rum. I've found it in NJ and DE. Awesome Expensive, but worth it. A friend in TCI recommended this and I'm glad I brought one back with me. Now, I wish I had the rest of the collection. Wonderful A fabulous premium rum if you have the scratch. It comes in a wonderful box that looks like a silk coffin. I love sipping it on special ocassions. One of the best to sip This is a big favorite of mine to sip. You can taste the extra aging in the sherry casks. We love it and it is easily available on the east coast. Close to perfect as I've tasted I wish I could rate a 9 1/2. 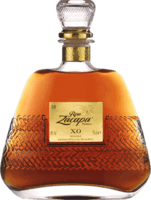 This is a fabulous rum and I love to sip it on special ocassions. You're paying a price for it, but it's worth it. Great I love this as a sipping rum. We just brought a bottle back from the airport in St Martin. It has become one of my favorites. Speical Rum We visited the Abbey and got a bottle of this engraved for us. It is such a great tasting rum. Too bad I finished the bottle. Wonderful I found R.L. Seale in DE before we ever visited Foursquare. I really enjoyed sipping this rum. I love Barbados rums and this is one of my favorites. Favorite White This is my favorite white rum to mix. It is so unassuming that it never gets in the way of your cocktails. Makes a wonderful Mojito. Special The 2nd aging gives this rum a very unique test. It's great to sip on. On my top shelf This rum is on the top shelf in my home cabinet. I loved the 12 YO and this blew me away. A great sipper, but more pricey. Great Sipper I like this best out of all the Plantation rums I've had so far. A great taste and the bottle reminds me of Vizcaya, another of my favorites. Tasty A very good aged agricole style rum. It's my favorite aged agricole so far to sip. Surprising I wasn't sure if great rum could come from Costa Rica. Then I tasted a bottle of this. I'm sold. I love sipping this rum! Good Sipper A very good sipping rum at a great price. I can find this in all the PA stores. Love it I love the Plantation rums and this is one of my favorites. Great taste Brought a bottle back from St Barth. This is my new favorite aged Agricole. A bit pricey at 110 Euro, but I wasn't leaving empty handed. Very good , but expensive I had a taste down at the store in St. Barth. A great Agricole, but I wasn't tempted to spend 700 Euro for a bottle. Great Bottle and Very Good Rum I love this bottle, even though I can never easily tell how much I have left. It's a very good sipper. Fine Rum I bought the 1824 first, so this is a step down for it. However, it is still very good in its own right. I have no problem sipping on either. Great white rum This is one of my favorite white rums. It mixes clean with just about anything that I have tried. Excellent Blonde Rum It's not white, it's blonde. A great mixing rum and just a wonderful concept from bottle to name on this one. Best of Haiti The Estate Reserve is a nice fruity cane juice spirit. It is a very good sipping rum. I am interested in trying the white next for mixing. Great for Painkillers I love Pusser's in a nice Painkiller. The rum doesn't let the cream of coconut overpower it. PKNY makes a great one. Very good light rum This is a very good light rum. I started drinking it straight, but find it very good for mojitos or anything that calls for a light rum. Fine Spiced Rum A very good spiced rum. It tastes great with cola. Bacardi took their game up a notch with this one. 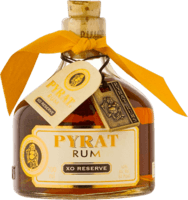 Cheap Favorite This inexpensive aged rum is a good sipper and great with cola. My wife's favorite with Coke. Great Anejo I like this straight pretty well, but try the Jolly Roger for a nice mix. Mix 1 part Anejo, 1 part Banana liqeuer, and 2 parts lemon juice. Good Sipper I really like to sip this. Pour it over some ice and drop a slice of lime in. Change of pace A nice sipping rum that is easily available in the PA stores. A nice change of pace to have. Good Mixer Very light rum that makes a great mixer. Probably my 2nd favorite white so far. Not 1981 or 10 YO, but not bad This is an everyday sipping rum that quenches my thirst while I keep from drinking all the 1981. Love the pouch I love the leather pouch my bottle came in. The rum is a very good sipper. It's quite good for the price. I found this in NJ. Good Sipper I love the Plantation rums. The Barbados versions are my favorite. The 2000 is a nice sipper at a reasonable price. Good Sipper A good sipper so you can drink the XO a special ocassions. Good Sipper A little darker than a lot of the other Plantation rums. I find the Grenada 1998 to be a very good neat pour. Good Sipper It tastes a lot like Flor de Cana, so I assume they distilled this for Plantation. It is a very good sipping rum. Nice and Light A nice light sipping rum from Plantation by way of Panama. Good Sipper One of the best sipping rums I've tasted from the continental United States. I found this on a trip to Lexington. Good Sipper A good sipping rum. There are better out there, but this one won't let you down. Favorite Black Spiced This is my favorite black spiced rum with Coke. Very Good Very good sipping rum! Nice rum I enjoy this one straight. It has a good clean taste. Stout Navy Rum A good stout navy strength rum, great for mixing. Love it in rum punch. Good This is a good sipping rum, but overpriced a bit. Not bad but plenty others give you as much or more for less. Very good Not a big Agricole fan, but this is my favorite white. Good to mix in a Ti punch or with fruit. Good Had a taste at the store in St Barth. It was pretty good. Like it as well as the JM Blanc I think. Great Rum and Coke We found a bottle in Cape May, NJ last weekend and it makes a great rum and coke. Just add a little lime and it's a perfect mix. Great Taste I found a bottle of this rum in Avalon, NJ. It is a good sipper and made some great mixed drinks as well when we needed it. Good Sipper This is good, strong sipper. It's a bit overpriced but hard to find. A good spiced rum I have been dying to try this rum for a while and ordered a bottle online. It makes a pretty good rum and coke. I love the color and the flavor. Good White Rum This is one of the best white rums I've had. Very good to mix with. Tasty We had this in the Caymans at the Tortuga store. Pretty tasty. I would suspect it is good to mix. Nice premix We generally like to make our own mojitos, but this will do in a hurry. Nice Rum You have a add a rum from Fiji in your collection. This is a good mixer with cola. Different Spiced Rum Interesting spiced rum. It is in between the lighter and darker spiced rums. The caramel comes through. I like to mix with cola. Great with cola It's not a sipping rum, but it does make a mean mix with cola. One of my favorite mixers with Coke. Favorite Cachaca I dabble in the Cachacas, but I'm not a huge fan. This is my favorite of the Cachacas. It is a good mixer with fruit. Solid Dark Rum This is a very good dark rum that is not bad in Dark N Stormy's, but better suited to rum punches or mai tais. Solid Rum This is a nice cheap rum to mix with cola. I have sipped it, but Bacardi 8 is the entry level sipping rum for Bacardi. Good for mixing, fair sipper An inexpensive Anejo from Bacardi. It is OK for sipping, but pretty good in cocktails. The Bacardi Anejo Highball is recommended. Pineapple starter A good choice when you want to start off your mixed drink with a pineapple rum. Nice tropical start I actually had to buy this bottle in the Duty Free in Aruba. I have yet to find it in the PA stores, although they carry many other Cruzan flavoreds. Good, but not Exclusiva It's a very good sip, but I had the Exclusiva first and it just can't compare to its big brother. Nice Mixer Nice gold mixer. I like the Cristal better to mix, but I use this when I want a little more flavor. Good Mixer A good mixer from El Dorado. I couldn't find it very easy in PA, NJ, or DE, but did find it in NYC. Good Mixer A good mixer, but the upscale Mount Gay products provide no reason to sip this. I like the Speical Reserve and Sugar Cane Rum as well to mix. Good Flavor You do not see many Cranberry rums. This is pretty good and a nice change of pace to sip. Nice Spice You have a add a rum from Fiji in your collection. This is a good mixer with cola. Nice Cachaca Good Cachaca to mix with fruit or with a little sugar, lime, and ice. Good for Caipirinha Good for Caripirinhas. Good with Coke If you want a nice dark spiced with Coke, this will do for you. Good Spiced Good with Coke, but Kraken is better in this category. Good Mixer I had a sample of this at the bottling plant in TCI. It's a good mixer when you want to start with coconut rum. Good Rum A good mixing rum. I'm spoiled with Bambarra Reserve and Trouvadore though. Good Mixer Sampled some of this at the bottling plant in TCI. It would be a good mixer when you don't want the rum to get in the way. A decent coffee rum I found this in NYC and it's a good tasting coffee rum. I'm looking for mixers to cut down on some of the heavy coffee flavor. Nice Spice Nice take on spiced rum with cola. It's a good change of pace from the regular spiced and cola. Nice Rum A good rum to sip or to mix. Dominican rums are a favorite of mine. Unique We found this at Cuba Libre in Philly. I had not seen before. It had a strong finish, but I think further aging would have improved it. Surprising A Captain I enjoy drinking straight. A big step up for them. Not bad I am spoiled by the Gran Anejo, but the Anejo is a fair sipper and good to mix. Not bad A decent rum. Not quite a good sipper but good in drinks. Not bad Not a huge Agricola fan, but this is very good in Ti punch when in the French islands. Nice mixer Had some at the distillery in St. Lucia, and them brought a small bottle back from TCI. Good to mix, sip in a pinch. Very good white rum Great to mix with. Mount Gay doesn't make any bad products that I've tasted. Not overpowering A great ovenproof to mix in punch. Found this at a state store in South Philly. A sipper This is one of the few agricoles that I enjoy sipping. Less sweet and closer to a whiskey. Nice Agricole I found this in DE. It is good in cola and would likely be good in mojitos as someone else mentioned. Good spiced Good spiced with cola. Found a bottle in NJ. Tasty Spiced Visited St Kitts and loved this. Easily found in PA stores. Great with coke. Not bad Brought a bottle back from St Martin. It was pretty good to mix with fruit juices. Not bad Bought a bottle in St Martin. It was good mixed with fruit juices. Tasty Bought a bottle in St Martin. Very good to mix with 7 up. Love the bottle with the hat. Good Mixer I'm a fan of Flor de Cana. The 4 year gold makes a good mixer. I can sip it in a pinch, but prefer to mix it. Good Light Rum This is a very good light rum for mixing in cocktails. It has a very tame flavor and will mix well with about anything. Good Agricole This is a good sipping rum in a pinch. It pales in comparison to the 15 year, but it mature enough to sip. Put some fire in your punch A good gold overproof to prop up your drinks. Float it on a Mai Tai. Good Entry Level Gold Mix with coke for the Cuba Libre. Try it in a Mai Tai, maybe float some 151 if you need more kick. Decent Spiced Not a bad spiced rum to have with cola. Not one of my favorites, but a lot better than most. Fine for mixing I can take or leave coconut rum in general, but this is as good as any to start your fruit drinks. Kickin Bring the fire. Good for mixed drinks with high octane. Not bad Not bad for a coconut rum. Had this at the Tortuga store in the Caymans. Good Spiced Had a sample in the Caynans. Not bad for mixing with cola. Hot Spiced Like the extra alcohol with spice. Kicks up the rum and cola. Unassuming Spiced Good for mixing with fruit for a spicy punch. Standard Spiced There are many others I prefer, including Captains, but this will do in a pinch. Not bad Not too bad with cola. Visited the distillery in Barbados. More beach club than anything. Good Mixer Good mixer. Not quite a good sipper. So so An interesting taste, but I'd like to try a longer aged product for sipping. Not Bad Had this at the distillery store in Antigua. It is a decent rum and would make a good mixer. Good mixer Good in rum punch. Strong Agricole One of the better white agricoles that I have had. Not a huge fan, but good to mix with fruit. Good light rum This is a pretty good mixer. It is easily available in the PA stores. Good Spiced My wife really likes the sailor with cola. I find it pretty good, but not in my top 3-5 spiced rums. Mixer The flavored Bacardi's all add something to a drink when you wish. The Limon is good with Coke. Crisp Taste Nice orange flavored rum to mix with fruit juices and forgoing orange juice to keep the acidic content down. Mixer You don't see a lot of peach rum, so use this as a mixer when you just want a bit of peach flavor in your fruity drink. Love it I love the Big Apple and 7 Up. It's a nice simple summer drink to quench the thirst. Wonderful Strawberry I love this with 7 Up. I will be looking for all sorts of fruit mixes with this one. Cherry Goodness My wife loves this in a cherry limeade. I love it in 7 Up. The cherry flavor opens up a lot of mixing opportunities. Decent Coconut Rum I had to buy a bottle for my collection and it's not bad. It overwhelms a bit with the coconut, but not bad in a mixed drink. Overshadowed by Older Siblings Barbancourt makes some fine aged rums. 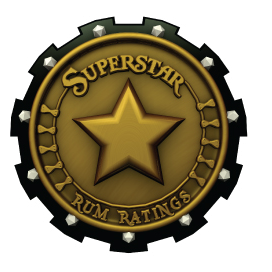 The 3 star is not quite a sipping rum, better used in cocktails. Standard Basic coconut rum, good for piña coladas. Strong A strong Agricole. I've mixed with fruit for a decent drink. Dark Agricole I'm not sure about a dark agricole. I guess it would be nice to cook with. I'm searching for mixers to see if I can find its compliments.